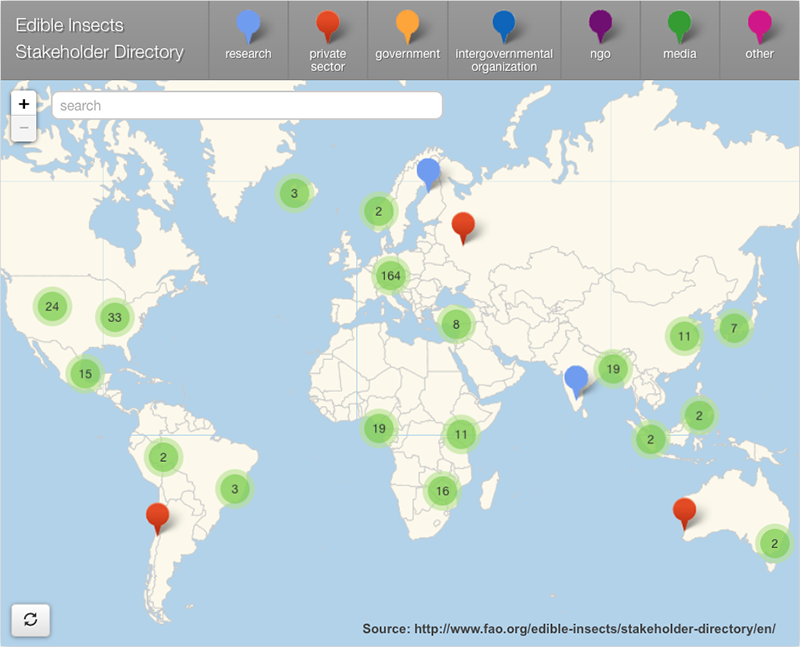 The Global Stakeholder Directory (Version 2.0) on Edible Insects! This directory lets stakeholders present their current and past work on insects as feed and food. It also enables users to identify synergies on cross cutting topics such as: nutrition, livestock management, legislation, labelling and investment while facilitating networking at regional/national levels. The Edible insect programme would like to acknowledge the work done by Ms. Rena Chen, who developed the “International Entomophagist Contact Directory” and whose data was incorporated in this directory. We also acknowledge the work by Wageningen University in incorporating their previous database.